After months of sweltering heat, Fall finally arrived in Louisiana! With the coming of the Fall season, many of the PMH law students are preparing for Halloween, and the admittedly much scarier finals season. Here are some delicious and BOO-zy cocktails to help you all make it through this tough and terrifying time at the law center! The first drink up is the 1L’s Folly. This drink is a classic based on the traditional Irish Coffee. Its blend of coffee and whiskey makes it the perfect cocktail for the overworked student. As the coffee gives you the energy to finish that final outline review, the whiskey will warm your pre-hypothermic body after hours spent in the frigid library. Pour piping hot coffee into warmed glass until it is about 3/4 full. Add the brown sugar and stir until completely dissolved. Blend in Irish whiskey. Top with a collar of the whipped heavy cream by pouring gently over back of spoon. Serve hot. Next up is a drink called the 2L’s Tonic. 2L year might be the scariest and spookiest year of them all. Balancing journal writing, applying for jobs, and reading for class keeps you on edge all year long. But now it’s Halloween and time to relax with a chilled cocktail, which would be great for a warm-ish Louisiana Fall day. Garnish with an apple slice and nutmeg. Combine gin, lemon juice and apple cider in a cocktail shaker with ice. Shake well and pour into ice filled, chilled glass. Top with ginger beer, stir and garnish with an apple slice and fresh grated nutmeg. The 3L’s Farewell, which is a mixture of champagne and absinthe, is the perfect drink to toast the 3Ls last Halloween at the law center. Pop your favorite bubbly to celebrate making it through (almost) unscathed. Also, the extra kick of absinthe is great to numb whatever feelings remain after 3 years of law school. Fun fact: this cocktail is based off of Ernest Hemingway’s favorite drink, called Death in the Afternoon. 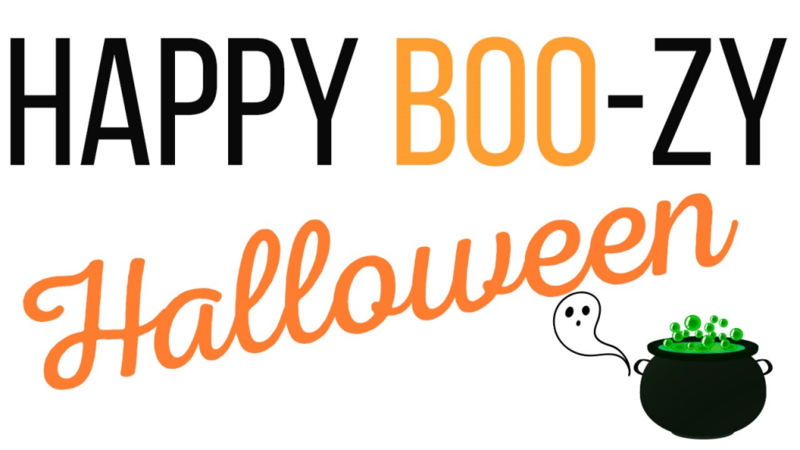 So whether you are preparing for Halloween or finals, or 3LOLing like the rest of us, these fun and BOO-zy drinks will get you through the scary times ahead!